This is a historical moment for Europe. That is the thought that creeps into my mind every time I try to describe just what I have been documenting for the past few months. As a photographer who has dedicated more than nine years to document the lives of refugees across the continent and beyond, I never foresaw that we could reach a point of such cruelty, never imagined that EU member states would be building fences to protect their territories from helpless, desperate refugees. History is repeating itself as the Greek islands once again welcome refugees arriving via Turkey. I see them reaching Greek shores and kissing the ground. Unaware of what comes next in a crisis ridden country with no functional reception system, most of them believe they have reached their Promised Land. Having just survived an enormously dangerous sea crossing, the refugees must immediately make one of the most difficult of choices: where to go next. The absence of a common European asylum system forces them to seek out those EU countries with the strongest asylum systems, where they also have a greater chance of integrating. Thus, after reaching Greece, most embark on a new journey to the north. Along the Greece-FYROM border, the situation is even more chaotic. Many refugees remain stranded in between the two countries, their passage subject to daily negotiation. It was here that, few months ago, police officers attacked refugees as they held their babies in their arms. 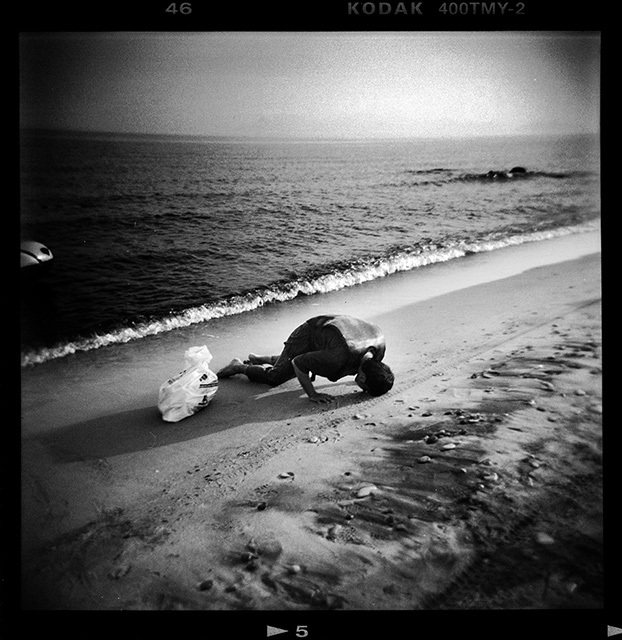 I have documented violence, despair and helplessness with my lens more times than I can possibly remember. But I have honestly never seen anything like that before: terrified and beleaguered people trying to cross the borders, children screaming and crying and families being separated between the two countries. Hell by the border.